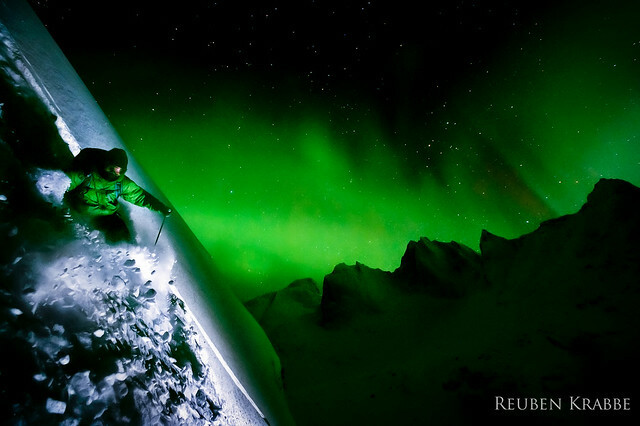 Tobin Seagel skiing under the Aurora Borealis, Yukon Tombstone Territorial Park. Thanks to everyone who made this happen. It took a village. Tobin Seagel, Dave Gheriani, Joel Jacques, Tyson Bourgard, Isabel Lindeman, John Irvine, Jason Mousseau, Les Anthony, Jeff Schmuck, and many more.